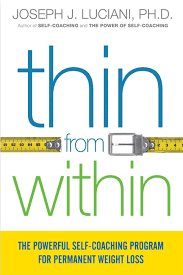 Book Review: Thin From Within by Joseph J. Luciani, PH.D.
As most of you know, I was able to lose 50 lbs. by adopting a whole foods plant-based lifestyle. But, I didn't change some of the destructive habits in the process. Thin From Within by Joseph J. Luciani, PH.D. is helping me learn some awesome tools to create habit reformation in my life. If you struggle with losing weight and keeping it off, or if your weight loss is stalled, check out this book. Luciani offers a self-coaching plan to help you make permanent habit changes that will help you break free from some of the obstacles in your way of success. I HIGHLY recommend this book!